Hyundai Motor India Ltd (HMIL), India’s 2nd largest passenger car manufacturer and the largest exporter since inception today introduced two new variants with 1.4 L New Kappa Dual VTVT petrol engine in the Next Gen VERNA. Launched in August 2017, the Next Gen VERNA has become a trendsetter in the Indian market and heralded a new chapter in Hyundai’s success story across the world. It has received over 30,000 bookings and 2,00,000 enquiries in India and over 10,500 Units of export order from global markets. It has been the most awarded car of 2017 winning 10 awards including the prestigious “Indian Car of the Year 2018”. The Next Gen VERNA is a super sedan and has established its supremacy in the market since its launch in August 2017. The Next Gen VERNA with 1.4 L Kappa Dual VTVT petrol engine is the perfect combination of performance and fuel efficiency and showcases Hyundai’s commitment to provide products based on customers aspirations. 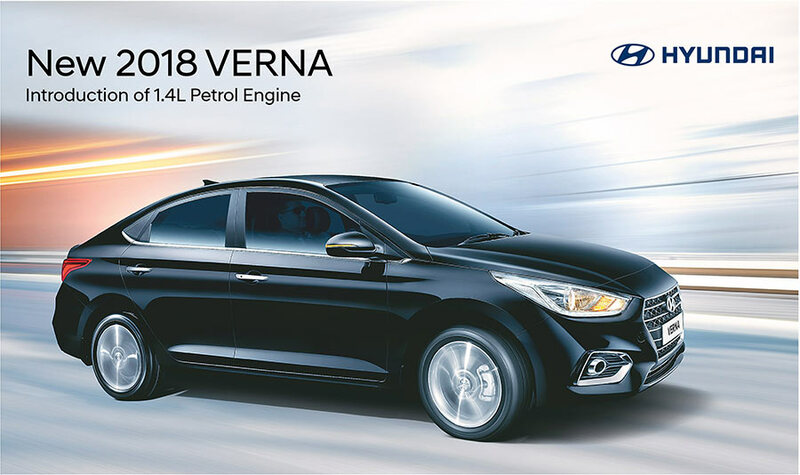 We are sure this addition will strengthen VERNA’s popularity and offer the customers a wider option to own and experience the super sedan. The 1.4 L Kappa Dual VTVT petrol engine is offered with an output of 100PS @ 6000 RPM and torque of 13.5 Kgm @ 4000 RPM. The fuel efficiency of the new variant has been further improved by 8% to an impressive 19.1 KMPL. The Next Gen VERNA with 1.4L Petrol Engine will be offered in two trims E and EX with 6-speed Manual Transmission. Next Gen VERNA is admired brand globally and is beyond the ordinary. The Next Gen VERNA is a technological marvel developed with Futuristic Design, Dynamic Performance, Super safety, New Technology & Advanced Features setting a new benchmark in the sedan segment.